Home / Underwater Camera Rental / SeaLife Micro 2.0 Underwater camera w/ dive light. 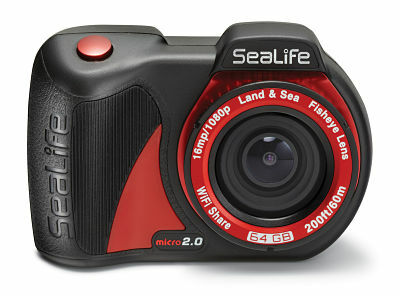 SeaLife Micro 2.0 Underwater camera w/ dive light. $75 for 4 days. Only $4/day after. Complete underwater camera package including waterproof camera, tray, and light for dollars per day and easy 2 way shipping. Includes tray and 2500lm dive light. Our SeaLife underwater camera rental packages includes everything you need to capture amazing photo and video or your next dive trip. The easy to use SeaLife Micro 2.0 is completely waterproof and comes packaged with a powerful 2500 lumen dive light, tray, flex arm, and chargers with international adapaters. No need for filters either, as this underwater camera can adjust and provide color correction based on your dive environment and depth. 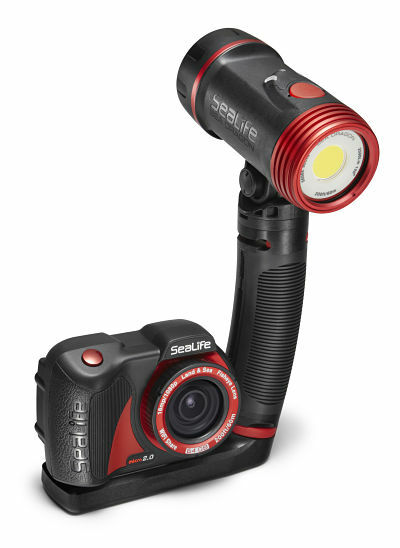 Capture clear, well-lit images of the world below the surface with SeaLife’s Micro 2.0 Sea Dragon 2500 Pro Set, which bundles their 64GB Micro 2.0 Underwater Digital Camera with their Sea Dragon 2500 Photo/Video LED Light, Flex-Connect Micro Tray, Flex-Connect Grip and Flex Arm, and large Sea Dragon Case. Both the camera and light have depth ratings of 200′ and are designed to bring out the natural colors of fish, coral, and other fascinating life and environments. The Flex-Connect Micro Tray, Grip, and versatile 7″ Flex Arm serve as a modular support system for the camera and light and can easily be supplemented with optional accessories. The camera is permanently sealed, having no watertight doors and no o-rings to maintain and is protected by a rubber-armored, shock-resistant body. It features a 16MP, 1/2.3″ Sony CMOS image sensor for sharp, detailed photos and full HD 1296/30p or 1080/30/60p video. The Micro 2.0 is also equipped with a wide-angle fisheye lens with a 35mm-equivalent focal length of 20mm, a 130° angle of view, and a fairly fast f/2.8 aperture, enabling you to fit a lot in-frame and capture effective low-light shots with shallow depth of field. Additionally, it is configured with 64GB of internal memory and runs on an internal lithium-ion battery. 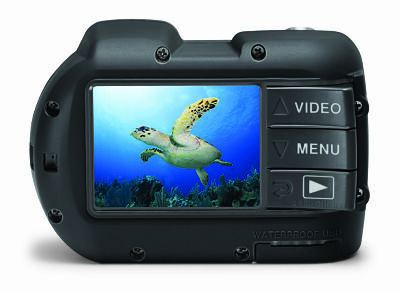 Compose your shots on the 2.4″ color LCD monitor, and benefit from 3 underwater scene modes and a land mode to give you just the right exposure settings. Wi-Fi connectivity allows for previewing, downloading, and transferring images to your smart device with the free SeaLife app. 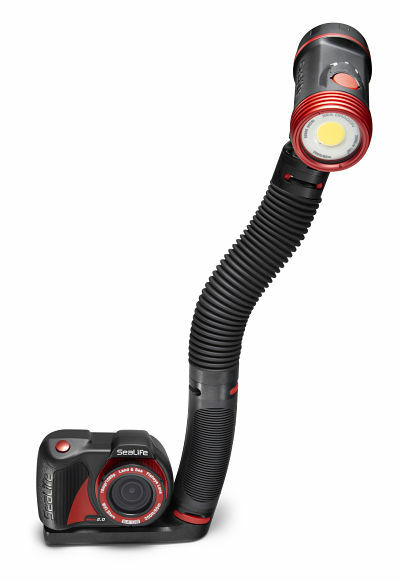 The Sea Dragon 2500 light’s single LED outputs 625-2500 lumens in three power settings. Runtime varies from 60-240 min with the supplied lithium-ion battery. The beam features a very wide 120° angle of coverage, allowing you to illuminate sharks, humpback whales, broad sections of coral reefs, and much more. A color temperature of 5000K and a high color rendering index (CRI) of 90 make the light approximately daylight-balanced and help restore rich, natural colors to the life forms and environments in the underwater realm. With a fiber-reinforced polycarbonate body and an anodized aluminum head, the Sea Dragon 2500 is corrosion-resistant for durability. Micro HD/HD+ or Micro 2.0. The 10x Close Up Lens gives the Micro HD or Micro 2.0 camera a focusing range of 6 to 24 inches (15 to 61cm), allowing the camera to capture close up underwater images and video. Reveal the details of a tiny coral shrimp or small anenomefish. The lens features a secure bayonette twist on mount for fast and precise attachment. It easily attaches and removes from the Micro HD and Micro 2.0 camera underwater, and includes a small lanyard to secure it to the camera while in use.